The Temple Rule proves that the Knights Templar were always dedicated to honouring the Divine Feminine principle, as the spiritual feminine aspect of God. Using a special Old French word for the feminine face of God, it declares: “The good works of Our Lady of God [Damedieu] are with us” (Rule 2). Templars always referred to the daily prayer times as the “hours of Our Lady Saint Mary [French ‘Nostre Dame’, Latin ‘Sancte Marie’]” (Rule 16). Templar Clergy are described as serving by “the authority of Our Lady of God [Damedieu]” (Rule 64). Reflecting the ancient sacred wisdom of the Biblical Magi of Melchizedek, the Old Testament enshrines the doctrine of the inherent duality of God, embodying both a masculine and feminine aspect in equal balance, as a dual polarity of spiritual energies: “Let us make man in our image [Greek: ‘Imetéran’]… male and female” (Genesis 1:26-28). In the Scriptures written by King Solomon, “Wisdom” speaks as the Divine Feminine aspect of God, to “put forth her voice” (Proverbs 8:1) as “I Wisdom” (Proverbs 8:12), saying: “I was set up from everlasting, from the beginning… When he prepared the heavens, I was there” (Proverbs 8:22-30). The Solomonic scriptures also identify “water” as the symbol of the Divine Feminine principle (Proverbs 5:15-19). The Old Testament explains that God could not create without “water” (Genesis 1:1-2, 1:20-21), which is identified as the universal ethereal essence of the cosmos, which God’s masculine aspect divided to form the heavens and the earth (Genesis 1:6-10). As “the Spirit of God moved” (Genesis 1:2), the Divine Feminine aspect “brought forth” all “life” from those masculine impulses (Genesis1:20-21). This ancient spiritual doctrine is reflected in the Catholic practice of Holy Water, wherein the masculine polarity of the Holy Spirit consecrates the feminine polarity of the water, such that the resulting Holy Water embodies both halves of the whole of the dual nature of God. This original Divine spiritual alchemy is the very essence of the Templar concept of the Holy Grail, symbolically represented in the Egyptian Priesthood as the Ankh, and in the Celtic Priesthood as the sacred chalice and sword. The Roman Code of Canon Law emphasizes the “particular veneration” of Mother Mary in Catholicism, as a special form of meditation on the Divine Feminine aspect of God by “mental prayer” (Canon 276, §2(5), Canon 1186) . Discipline of daily prayer, as a personal practice of individual spirituality, is established in the Temple Rule. It commands to “at all times… give thanks to God in silence” every day (Rule 29), encouraging frequent prayer “day and night” (Rule 63). During meal times, it is encouraged to hear readings of Holy Scripture whenever possible (Rule 24), and to give silent prayers of Grace (Rule 29). For those who might not participate in the Church, such daily prayer is also encouraged as an alternative or substitute for attending religious services (Rule 10). Jesus taught that prayers are made effective by the Faith in one’s heart, not the form of words (Mark 11:24). The Apostles taught that Clergy minister by the spirit, not the letter (II Corinthians 3:6), and that prayers are made effective by the Holy Spirit, even when we cannot find adequate words (Romans 8:26-27). This doctrine of “intent over form”, and thus freedom of liturgy, is confirmed in traditional Canon law (Canon 214, Canon 846, §2). Accordingly, Templars are not required to use any particular form or wording of prayers, but rather are encouraged to pray from the heart with mental focus on spiritual intent, in whichever style best suits their cultural or denominational preference, to enhance their personal devotion and inspiration. The Temple Rule evidences the strong Templar tradition of intensive spiritual meditation at every opportunity. To facilitate and encourage meditation in the Templar lifestyle, it commands to “go silently and quietly” every evening (Rule 31), prohibits “idle words” to promote quiet time (Rule 32), requires to generally “refrain from speaking… and observe silence” (Rule 49), and encourages focused prayers “day and night” as frequent meditation (Rule 63). Templars are supposed to be metaphorically nourished primarily by the spiritual “meat from God” (Rule 9) through meditation. The Templar diet was thus established to be 85% vegetarian (Rules 26-27), which is known to facilitate deep spiritual meditation. In Christian scripture, Jesus taught meditation to activate the Pineal body of the brain, known in esoteric traditions as the Third Eye or Single Eye, to channel spiritual energy-information from the Holy Spirit, saying “If thine eye be single, thy whole body shall be full of light” (Matthew 6:22). He taught the importance of meditation to be grounded with spiritual “roots” (Mark 4:16-17), and to filter out worldly distractions which “choke the Word” of God out of one’s heart (Mark 4:18-19). The New Testament teaches the method of meditation, as “giving oneself wholly” to focusing on spiritual thoughts (I Timothy4:15), to “keep” and “hold fast” specific thoughts of the sacred doctrines in one’s mind (II Timothy 1:13-14), to “ponder them in one’s heart” (Luke 2:19) and “think on these things” (Philippians 4:8). The Apostles explained the object of mental focus for meditation, as follows: (A) to “put off” worldly distractions, by mentally focusing to filter out distractions of the corrupt world (Ephesians 4:22; Romans 12:2; Colossians 3:8); and (B) to focus one’s mind to “Seek” the spiritual energies of God, and “Set your affection on things above” (Colossians 3:1-2). The result achieved by this twofold mental focus of meditation, is to become “transformed by the renewing of your mind” (Romans 12:2), to be “renewed in the spirit of your mind” (Ephesians 4:23), and thus “renewed in knowledge” of the Spirit and the Faith (Colossians 3:10). In the Code of Canon Law, Clergy are actually required to “engage regularly in mental prayer” as meditation (Canon 276, §2), traditionally meditating on a daily basis (Canon 19, Canon 2, Canon 27) . Singing and chanting has always been an essential part of prayer and meditation, in diverse esoteric and spiritual traditions since the beginning of recorded history. Since the 2nd century, choral music was always an important part of Christian culture and worship. Devotional chanting greatly enhances mental focus, using the physics of “sound frequency vibrations” to help filter out negative energies and attract positive energies. University science of the “neurophysiology of meditation” confirms that chanting has a measurable effect on brain activity, promoting “sympathetic resonance of brainwave function” to balance and coordinate the left and right hemispheres of the brain, helping “to access deeper states of consciousness” . All of this empowers one to most effectively rise above worldly distractions, and attune one’s mind and spirit to sacred energies. The 12th century Knights Templar focused entirely on vocal “Chants”, to avoid adding musical instruments to already burdensome military equipment, and to best support individual spiritual meditation. A distinctive style of “Templar Chants” later became popularized as part of the “Gregorian” style, although the Templar style is characterized by some more ancient features of asynchronous timing and exotic melodic scales. The original Templar Chants survived in the 12th century Manuscript of the Holy Sepulchre, which is preserved in the Musée Condé in France , and continue to be studied and chanted by cultural Templars and members of the restored Templar Order in the modern era. Templar spirituality is traditionally considered a form of Gnosticism, emphasizing the development of a direct personal relationship with God through the Holy Spirit. The word “Gnostic”, from the Latin ‘Gnosticus’ and Greek ‘Gnosis’, means relating to esoteric mystical knowledge of the spiritual world, received by direct personal Divine Communion through an individual connection with God . Evidence that the Knights Templar were Gnostic is found in the Temple Rule, in which the Templar Order itself is described as a “Holy Communion”, meaning that Templar spirituality provides a direct connection with God (Rule 2). It also declares that “God is with you”, that Templars should be spiritually nourished “by the meat from God” (Rule 9), and that Templars “reconcile with God” through prayerful meditation (Rule 55). Jesus and the Apostles highlighted the sacred Truth that humanity inherently possesses an internal connection with God through the Holy Spirit, as a natural channel which can be opened and activated through prayer and meditation: Early Christianity teaches that “the kingdom of God is within you” (Luke 17:21), all that “may be known of God is manifest” in his creations including within humanity (Romans 1:19-20), that the essence of the Divine “is all, and in all” (Colossians 3:11), and describes “the Holy Ghost which dwelleth in us” (II Timothy 1:14). Therefore, despite popularized misconceptions, Templar Gnosticism is wholly consistent and fully compatible with canonical classical Christianity. The practice of Gnosticism is recognized and included within Catholicism in the form of Christian Mysticism, such that “Gnostics” are simply better known as “Mystics”. A significant aspect of Templar spirituality was traditionally the practice of “spiritual alchemy”, in the form of esoteric “energy work” for sacred transformation of the soul, to achieve spiritual purification. Such energy work was always directed at strengthening one’s connection with sacred energies of the Holy Spirit and the heavenly realm of God, spiritually empowering one to most effectively advance the missions of Chivalry. The Temple Rule commands all Knights and Dames “to serve… by studious purification… to fill in and fulfilling the very noble armour of obedience” to the Holy missions (Rule 1). This describes a practice of spiritual purification, for personal transformation, to become surrounded by sacred energy as metaphorical armour, as a form of spiritual alchemy. The Ancient Priesthood of Solomon, which the Knights Templar recovered from the Biblical Temple of Solomon, featured the authentic practices of Jesus the Nazarene Essene, including esoteric energy work through meditation, involving the purification of spiritual energy centers along the spinal column . That tradition of the Essenes originated from the Djedhi Priesthood of Pharaonic Egypt, named after the “Djed” pillar symbol representing the spinal column with vertebrae. The Djedhi Priests specialized in mastering the flow of Holy Spirit energies through points along the spinal column, primarily using intensive meditation techniques . 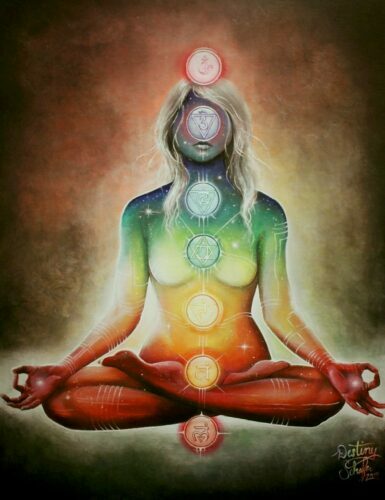 Those sacred energy centers, aligned with points along the spine, are known in the Eastern esoteric traditions as the seven Chakras, described as the gateways connecting the human soul with the Divine creator of the universe. The ancient practice of spiritual alchemy concentrates on ceremonial prayer and deep meditation to “cleanse” all seven Chakras, removing any “negative” energies to “unblock” and thus purify them, thereby releasing the strongest flow of Holy Spirit energies within the individual. This concept has been revived and popularized in diverse practices of the New Age movement. The Apostolic “Gnostic Gospels” preserved by the Essenes evidence that the 1st century Disciples of early Christianity practiced the same energy work as the Essenes. Their work with Chakra energy centers along the spine was described as cleansing “the seven houses” , by working with “seven spheres” of Holy Spirit energy , to raise the Biblical “seven pillars” of the “house” of Wisdom (Proverbs 9:1) .